I Forgot I Had A Life!? I just realized something awful the other day . . . I haven't updated you all on my life in a long while!!! For that I am sorry! Anyways . . . Life. Ummm . . . I mean to update you. But where to start??? I have been busy trying to work too much. I actually had to let go a couple of jobs these last couple months. I just couldn't keep up with it all. I also had to sell most of my goats ;/ I have one goat right now. A white doe named Luna. But I really don't take care of her. My little brother, Josiah, does. Awhile back I asked, very serious like, him, "Josiah, is my goat still alive?" I did something really crazy. I planned a bunch of consecutive traveling for the month of January. I don't know why . . . it just sorta all happened. Some things are just so sad. In such a stupid, disgusting, dramatic way. It's this: Kids all over the world going through this never ending cycle of relationship misery. 1 more week later: “I have found the most perfect person. They love me like no one else ever has. They completely understand me.” (again). It all starts over. Same thing. Same unrealistic point of view of love. No real understanding of the word commitment. And it always ends after a short period of time. Today we are having a blog hunt and GIVEAWAY in celebration of Stephanie Morrill's newest book, Lost Girl of Astor Street. If you would like to participate in the clue hunt, and try and win a copy of her novel, check out Stephanie Morrill's blog for details. 1. 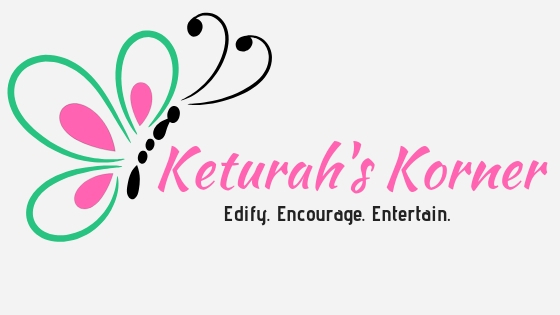 Welcome, Stephanie, to Keturah's Korner! Could you tell us a bit about yourself? Thanks for having me! I have been writing since I was a kid, and The Lost Girl of Astor Street is my seventh published novel. It's my sixth young adult novel, but my first historical mystery. I'm also the creator of GoTeenWriters.com, a website that's purpose is to encourage teen writers. And I live in the Kansas City area with husband, three kids, and a dog. 2. Tell us about your novel, The Lost Girl of Astor Street? What inspired you to write it? My mind is so full right now. I feel overwhelmed by nothing in particular and everything at once. Yet I can't stop from doing. From not sleeping. To rest is not an option. Or so it seems. And I keep looking for more… more? Why do I crave chaos? Why do I laugh in my stress? Why can't I cry, even though my eyes are heavy? Life and all it's mysteries. Right now they make too much sense, yet are even more distant than ever before. I keep feeling like I am not doing enough. I need to make every breath count. But is just breathing enough? Must I constantly gasp for air? Is it okay to just live every now and then? My life is crazy. Yet I love it. My mind yearns to stretch out more. Every muscle in me, physical and mental, demand to hurt every second. And then I see color. Life stops - no pauses - for a second. I breath in the warm sunshine. Now that was a breath worth taking.